The new instanced allods in New Horizons come in some unique flavours. Including an underwater world and another inspired by the WW2 battle for Stalingrad, each of the eight new allods feature their own lore and new bosses complete with new battle strategies and mechanics. In addition to the brand new instances, the Tropical Atoll ?holiday destination? has been improved for the last month of summer with more frequent events, new prizes and new costumes for all who visit it to play mini-games and bask in the tropical sun. Those who have already enjoyed the fruits of the summer hotspot will be happy to know that these prizes include a brand new summer mount: the Tropicana Wolf. The referral system is set to start shortly after New Horizons goes live. Existing players that successfully invite their friends to join Allods Online will have the opportunity to earn an exclusive set of goodies including beautiful costumes and mounts alongside a set of unique animated vanity items as rewards. There?s also a selection of some of the most popular goods from the boutique available as well, including potions and re-specialisation items. Those invited to play are rewarded with special gifts as well, including a one of a kind costume, a larger inventory, and scrolls which boost experience and reputation gains for every character created. 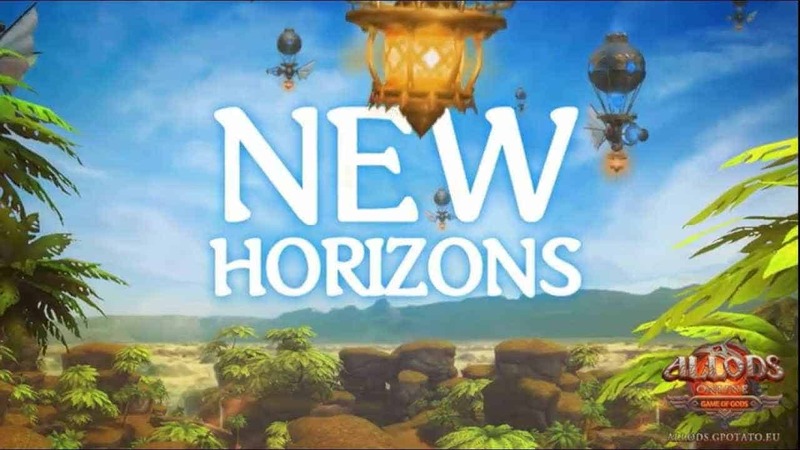 New Horizons also brings improvements to established players with an extensive revamp of two of the most popular archetypes: the Paladin and the Psionicist. Players with these characters will see a significant power boost in terms of damage and their ability to control the battlefield and, along with all characters over level 15, will enjoy 7 days of unlimited specialisations to learn the best ways to take advantage of the new changes. Additionally, the most popular interface addition from the previous update has had a massive upgrade. Automove, which allows players to automatically navigate to certain locations without players steering their character, will now allow players to set any map node as a destination, including banks, merchants, teleporters and other important locations. Players will also be able to automatically take to their mounts while en-route, without having to open the interface?s stable menu. The tweaks to automove had been requested by the majority of users in the latest community survey and have been implemented in record time by the Allods Online development team, showing a real dedication to community feedback. Play Allods Online for FREE right now!